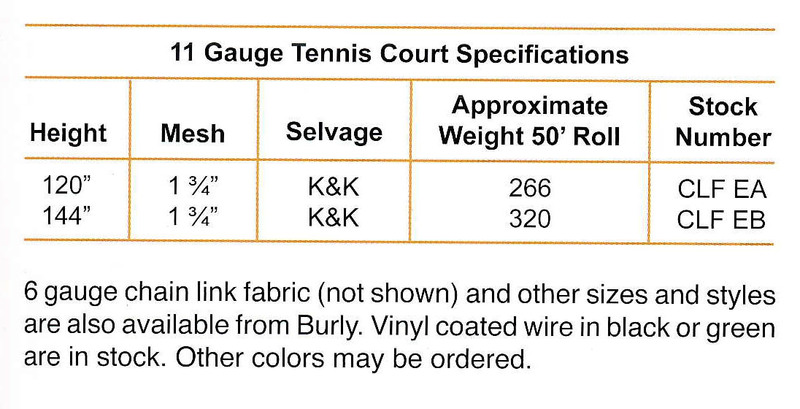 12 1/2 and 11 1/2 gauge wire is woven into 2 1/4" mesh chain link fabric. 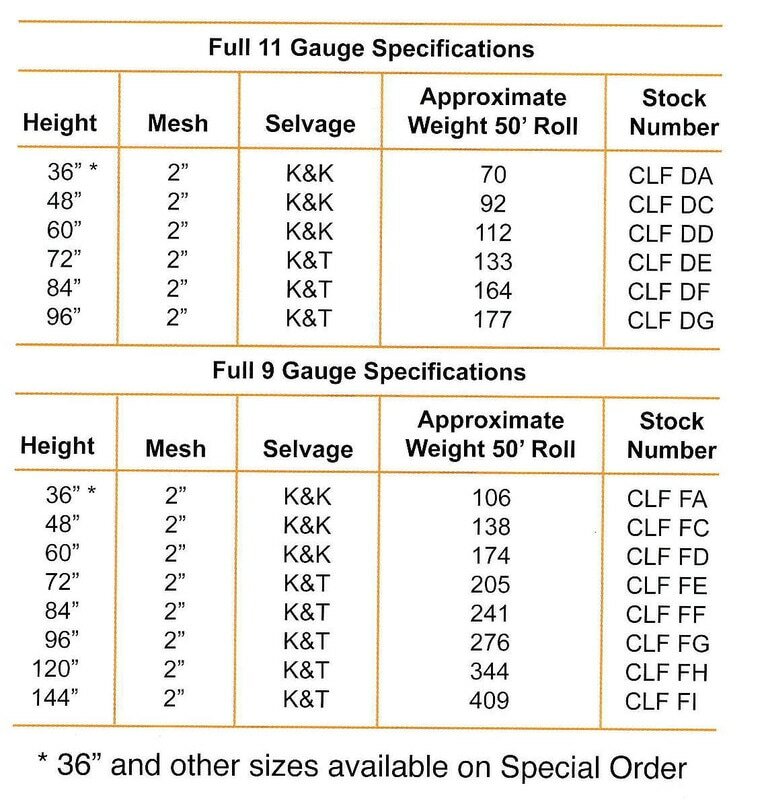 The top and bottom of all 36", 48", and 60", fabric has a "knuckle" finish while the 72" fabric has a "knuckle" finish on one edge and "twist" finish on the other. This is the most popular fence material for residential application. Furnished in 50' rolls. Industrial and commercial fence requires a fabric that will give years of service. The process of weaving steel wire and then coating it with a heavy layer of zinc, assures a long lasting fence. 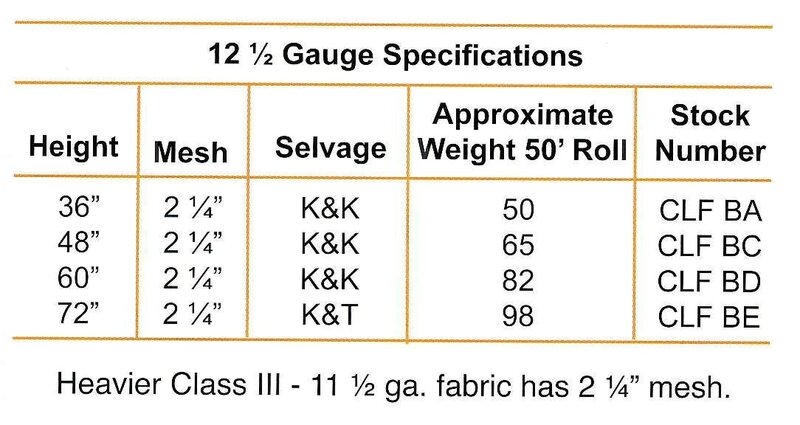 The 11 ga. fabrics are woven with a 2" mesh except for the tennis court fabric which has a 1 3/4" mesh. The fabric has a "knuckle and knuckle" weave up to 60". Fabric 72" in height and over has a "knuckle and twist" weave. All rolls are 50 ft. in length.